Recently, I began a Catholic Q&A in the bulletin for my parish. I think that offering my knowledge in this way is very helpful because, a lot of times, the reason people leave the Church is because there was no one there to answer their questions. I want to resolve any confusion that might be out there and help my parish to see what a blessing it is to be Catholic. For the first two Sundays, I drew from my blog. After all, I've answered around 150 questions since I started this blog two years ago. But, I am now receiving questions from the parishioners! Praise God!! This really excites me and I hope it continues. 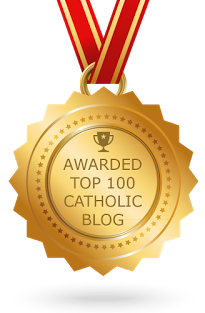 What is the difference between "Roman Catholic" and "Catholic”? What sets the Eastern Orthodox Catholics apart from us? Are there several different forms of Catholic faith? This can get complicated, and I am certainly not an expert, so I hope you all will bear with me. Now, before we begin, it will be helpful to define what a “rite” is. In this context, a “rite” is a family of Catholic liturgical, ecclesiastical, and theological traditions. The Catechism of the Catholic Church lists seven such rites: Latin (principally the Roman rite, but also the rites of certain local churches, such as the Ambrosian rite, or those of certain religious orders), Byzantine, Alexandrian (or Coptic), Syriac, Armenian, Maronite and Chaldean (see no. 1203). The reason there are different rites in the one Catholic Church is because, as the apostles and their successors brought the teachings of Christ to the different major cultural centers of their day, it was often necessary to take the essential elements of the faith and “clothe them,” so to speak, in the symbols and language of the particular people, so that the liturgy would convey the desired spiritual meaning to that culture. The result is a different way of celebrating the sacraments and a different way of expressing the one, true faith. Knowing this, we can now address your questions. Usually when people use the phrase “Roman Catholic,” they are using it in an informal manner to refer to the one, universal Catholic Church. In that sense, the phrases “Roman Catholic” and “Catholic” mean the same thing. But, when speaking precisely, or in a theological context, the phrase “Roman Catholic” refers specifically to those Catholics of the Latin Rite who follow the liturgical and theological traditions of Rome. The vast majority of Catholics in the Western Hemisphere and in Western Europe are Roman Catholics of the Latin Rite. Our parish is a Latin Rite parish. Catholics who do not follow the traditions of the Latin Rite are called “Eastern Rite Catholics.” These Catholics live predominantly in lands that were once part of the Eastern Roman Empire, which was centered in Constantinople. However, there are Eastern Catholics in the West as well, mostly due to the migration of Eastern peoples fleeing religious or ethnic persecution. The Eastern rites are the remaining six rites that were listed above from the Catechism. That said, note that there is a distinct difference between Catholics of the Eastern rites and the Eastern Orthodox. It is very important not to confuse the two. The Eastern Orthodox, while they share many liturgical and theological traditions with Eastern Catholics and even have all seven Sacraments, do not acknowledge the authority of the Pope. They differ with the Catholic Church on a few doctrinal matters as well. Thus, they cannot be considered “Catholic” as such. However, the Christians in the East who do acknowledge the Pope are truly Catholic and their rites have the same dignity as those of the West. Together, these seven Rites give witness to the truly “catholic” or “universal” nature of the Church. In Her is room for a wide variety of cultures, languages, and peoples. Praise be to God!